pharmaceutical and other departments. 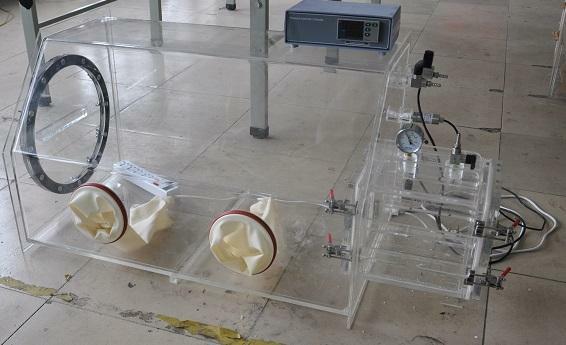 Electronic materials, magnetic materials, battery, biological cultivation, food vacuum packaging, battery materials, etc..
Fast dehumidifying speed, the humidity of inner cabinet can drop down under 1%RH in several minutes. Using micro-controller unit (MCU) to acquire digital data and real time control the nitrogen gas supply. When the humidity is below the set point value, the system will switch off the nitrogen gas supply. Once the humidity is higher than the set point value, the system will switch on the nitrogen gas supply. 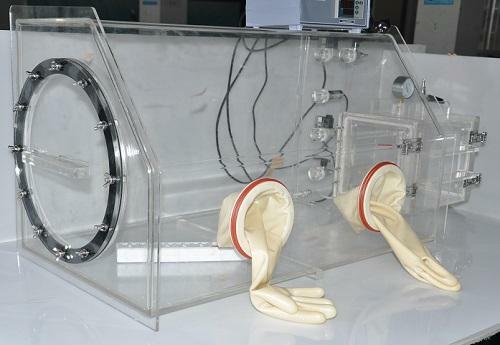 Bench-top transparent glove box offers larger inert gas environmental workspace with vacuum air locker and side door. 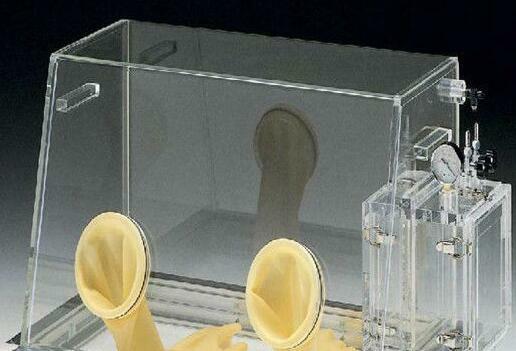 The Glove box is made of transparent polycarbonate for clear viewing from any angle. Polycarbonate construction affords resistance to a wide range of chemicals, high-impact strength and scratch-resistance and the smooth, hemispherical interior cleans easily.